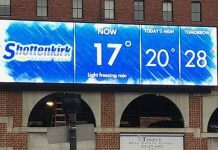 Daktronics (NASDAQ-DAKT) of Brookings, South Dakota, in conjunction with SMG, was asked by the Pennsylvania Convention Center to provide seven new LED video displays to amplify the guest experience during more than 200 annual events hosted by the facility. The installation took place this summer and the displays are currently sharing messages with visitors and passersby. 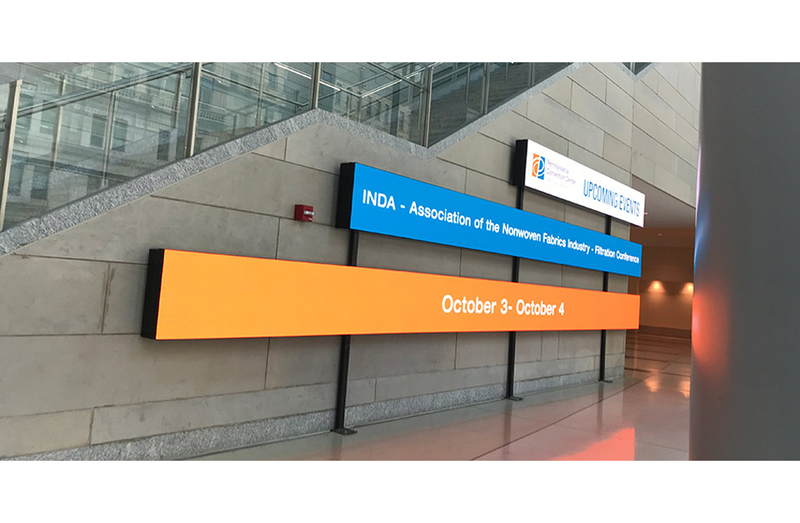 Six displays featuring 4-millimeter line spacing are lined on each side of the main entrance in mirror fashion below each escalator to greet visitors to the convention center and to show event-specific content. Further inside the entrance, a display along the rear wall features a narrow pixel pitch of 2.5-millimeters that engages guests as they pass by. These displays also show upcoming event information and other abstract content to create a welcoming atmosphere. Two displays along the bottom of the atrium’s staircases measure 2 feet high-by-34 feet wide. The next two displays above that area measure 2 feet high-by-28 feet wide, while the top two displays measure 2 feet high-by -6.5 feet wide. The narrow pixel pitch display in the rear of the atrium measures approximately 8 feet high-by-14 feet wide. 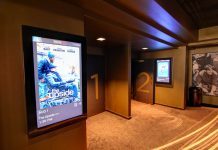 The combination of displays provides crisp, clear imagery to wow visitors to every event and to passersby. “SMG, the venue management group for the convention center, presented Daktronics with a challenge of how to attract greater awareness of the building’s Broad Street entrance from the significant outdoor audience,” said Peter Dunkle, Daktronics sales representative. “The challenge was to attract interest through design, display brightness and content, yet also blend in and keep in style with the iconic architecture of the building’s interior. 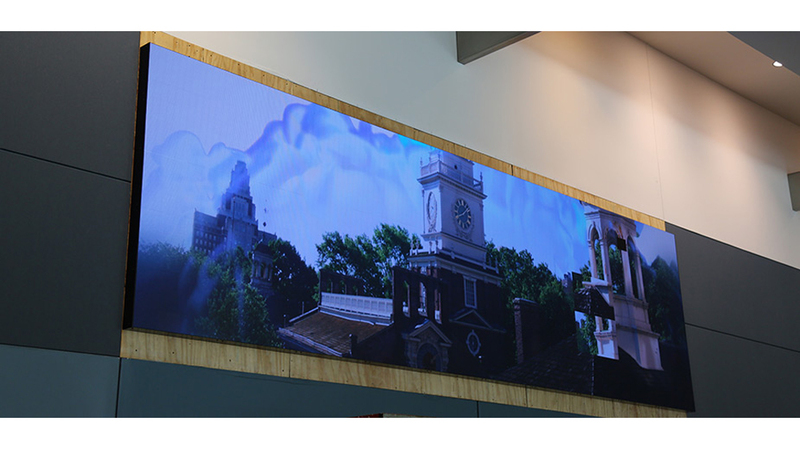 Daktronics Creative Services, an in-house, award-winning creative team, worked closely with the convention center to produce event-specific content as well as Philadelphia-specific content for the new system. The content produced includes a welcome message and template, upcoming events template, a logo treatment, artistic elements, and treated footage of the Pennsylvania area in an ink reveal fashion. Daktronics’ line of narrow pixel pitch products consists of 2.5, 1.9, 1.5, and 1.2 millimeters. This technology provides for high-resolution imagery at close viewing distances – as close as five feet or less. They are great for indoor locations where audiences are very close to the displays and add an element of luxury to venues. Daktronics’ Show Control System is an industry-leading solution providing a combination of display control software, world-class video processing, data integration and playback hardware that forms a user-friendly production solution. 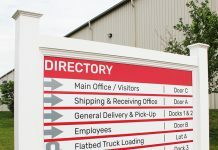 For more information on Show Control, visit www.daktronics.com/show.